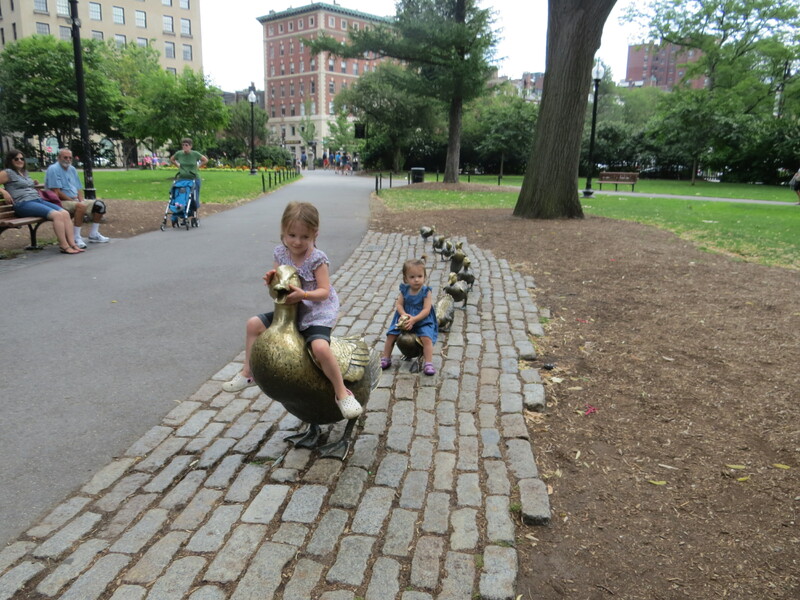 When I was about four I loved the book Make Way for Ducklings and when we were in Boston, my parents took me to the Public Gardens. My mom had the great idea to take M there for her birthday! She hadn’t read the book, so we got a copy from the library a few days before and starting hyping up the trip. 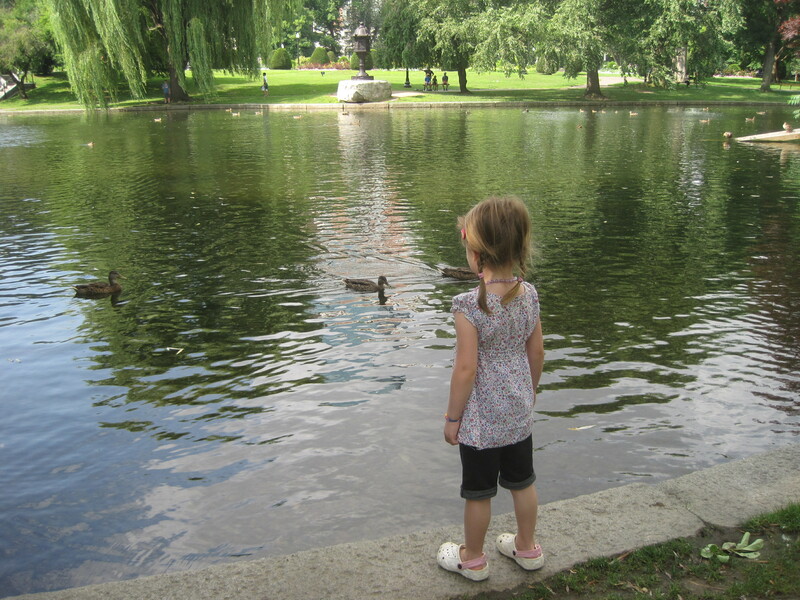 M didn’t disappoint – she had a great time feeding the ducks and riding the swan boats. We drove over for the morning, walked around the park, rode on a swan boat, had lunch, braved the rain to run back to the car and were home by mid-afternoon. I love living so close to so many great places! After dinner we had ice cream cupcakes! 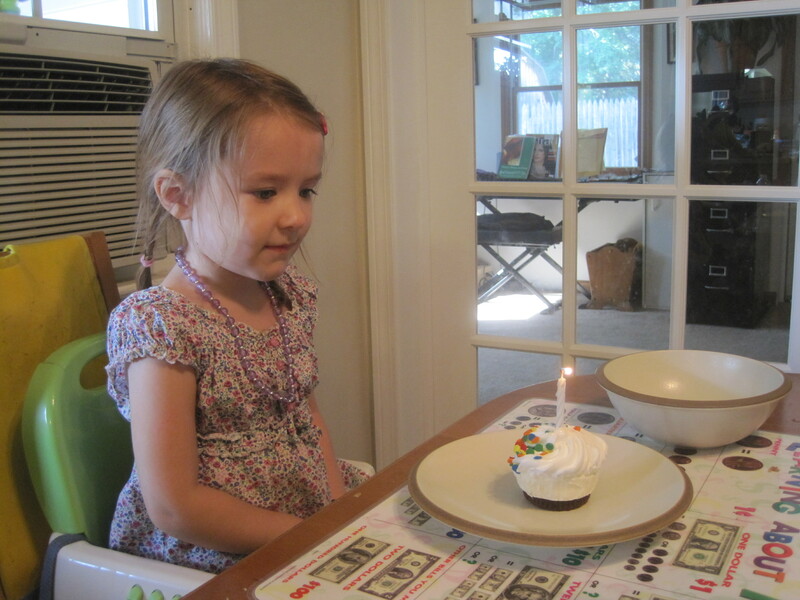 This entry was posted in Birthdays, Miss M., Travel. Bookmark the permalink.